Former President Bill Clinton once said that presidents come and go, but “John Dingell goes on forever.” John Dingell died on February 7, 2019, with his wife, Congresswoman Debbie Dingell, by his side. He was 92 years old. He was also a great friend of the Arab-American community, and a great defender of the civil rights of all Americans. The Arab American Institute recalled his undying support for a sovereign Palestinian state and a strong US-Lebanese bilateral relationship. He also worked closely in collaboration with the American Task Force for Lebanon to lift the decade-old ban on travel to Lebanon, and was not afraid to stand up for the civil rights of the diverse citizenry of his district. 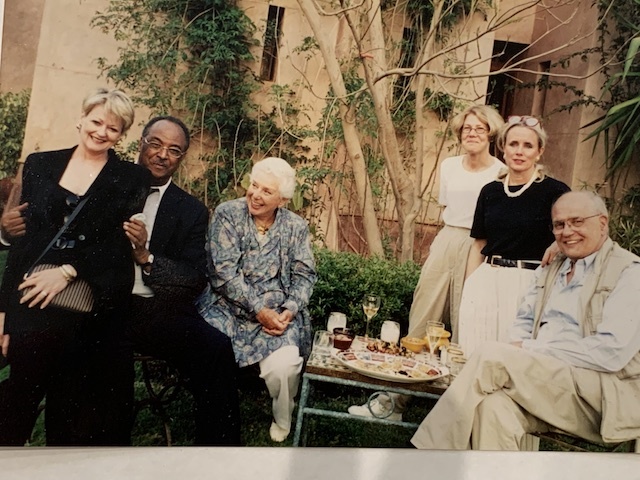 He was a staunch supporter of Morocco and led a large congressional delegation of 13 members there shortly after the Embassy bombing in Kenya in August of 1998. It was when the name “Bin Laden” first appeared in the public domain, and an important time for the United States to reassure its allies in Africa and the Middle East that it would not shy from its obligations and bilateral commitments to work with them in fighting the growing threat of terrorism in the region. In more than a dozen meetings with officials of the Moroccan government, including then Crown Prince Mohammed, the delegation focused on the need to improve common economic and investment interests, and to expand exchange programs. It was also an opportunity to make a security assessment of the US Embassy property in Rabat, which would result in a recommendation to build a new embassy (inaugurated in 2014). Most importantly, Congressman Dingell was a strong supporter of Moroccan sovereignty over the Western Sahara and a signatory of multiple congressional letters of support regarding this important issue to Morocco. John was an amazing human being, a kind and loyal friend, and the kind of politician we sorely miss these days. He was able to gain the respect on both sides of the aisle, and find compromise in the interest of the American people. The “Chairman” or “Big John,” as he was affectionately called, will be missed by all of us who had the great fortune of calling him our friend.